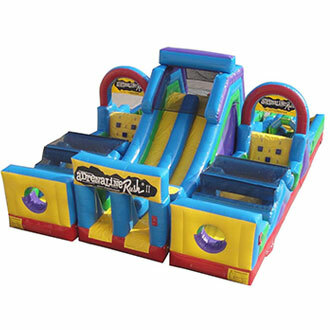 One of the Most Popular Obstacle Courses in New Jersey! Description: One of the most impressive obstacle courses we offer is the Adrenaline Rush obstacle course. This obstacle course features rock climbing, sliding areas, pop ups, and much more. It is 34ft Long x 24ft Wide x 16ftHigh.